One of the top manufacturers of home pregnancy kits is EPT. The EPT pregnancy test results are considered to be 99% accurate. Just like the majority of the other pregnancy tests, this one also measures the hCG levels of the urine. Although you may be pregnant, it is possible that the hormone levels aren’t high enough yet for the test to detect them at the beginning of your missed period. It is also possible that you miscalculated. How to use the pregnancy test from EPT? First of all, you have to remove the stick from its package right before you use it. Then remove the purple tip of the stick to expose the tip that has absorbent substances on it. The test stick should be held by the thumbs grip, with the absorbent side downwards. In order to get the test results for pregnancy you will have to hold the absorbent side in the flow of the urine for about 5 seconds. You could also collect urine in a container and place the stick in it for 20 seconds. Always keep the absorbent side pointing downwards. 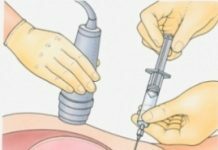 Once you are done with all of this and you are waiting for the results of the pregnancy test, you should place the stick on something flat having the windows facing upwards for at least a couple of minutes. At this point you will be able to notice the appearance of a blue line across the windows. As it has been mentioned before, you have to wait two minutes for the results. To be sure that you have performed the test correctly, a line should appear in the test window. The results should be read in maximum 10 minutes to make sure that they are accurate. In case of the EPT home pregnancy test there should be a plus sign in the window if you are really pregnant. The lines of the sign could be of different shades. If you are pregnant you should see your doctor about it. Keep in mind that prenatal care is very important. 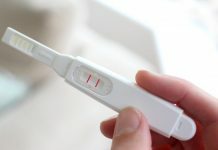 If the result of the EPT home pregnancy test is a minus sign, it means that you aren’t pregnant. However if your period doesn’t start in a week’s time, you should repeat the test. In case the results are negative again, this might be a good reason to see your doctor because it is possible that there is something wrong. When it comes to the pregnancy home test results you should know that if there is no line in the window it means that you didn’t perform the test correctly and it should be repeated. Now you know more about the pregnancy test results. Next articleWhat Is the Biophysical Profile?